With all the noisy pop bands swimming around in the sub-stratosphere, grasping for threads and most simmering down into indiscriminate, faceless factions of desperation, it’s with great excitement that something like The Band In Heaven can slip through the sludge and knock us right into the perfect state of mind. This Florida band has unraveled the mystery of how to solidly arrange the two or three chords that work best into a seamless monster of penetrating throb, peeling back the murky darkness and invigorating their explosive presence, making it impossible to turn away. A sinister chill emanates from each unsettling track included on their vinyl debut EP here, carved repulsively from front-to-back with “Sleazy Dreams” into “Sludgy Dreams,” in between which, the band revs up and blasts off with a goth-tinged ferocity, delivering four, diverse, head-expanding trips into the blackness. Sadly, you don’t hear the words “pop” and “nightmare” used together often enough, but with The Band In Heaven’s debut EP, it’s a newly minted connotation that fits so well, it seems to personify their ugly, industrial/shoe-gaze sound to a tee. The warped, idyllic fragments of noise, bending ruthlessly around each pounding hook, clearly shows how this band’s demonic dexterity is easily winning over everyone who comes in contact. Captivating minimalism this crepuscular and grimy isn’t best suited for summer days or weekend parties, so it’s only fitting that we’re unleashing this slab when the commodity of daylight is at it’s lowest, in the heart of the winter. So without further delay, pull those shades down, dim the lights and crank up this rapturous racket before their inevitable religious backlash comes to fruition. 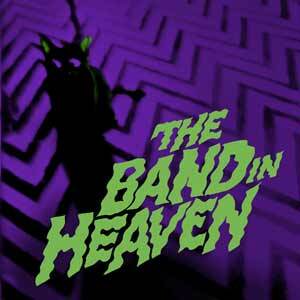 The Band In Heaven – “Sleazy Dreams” from the band in Heaven on Vimeo. 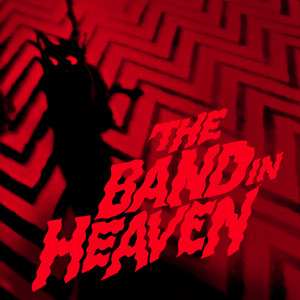 the band in Heaven – Sludgy Dreams from the band in Heaven on Vimeo.